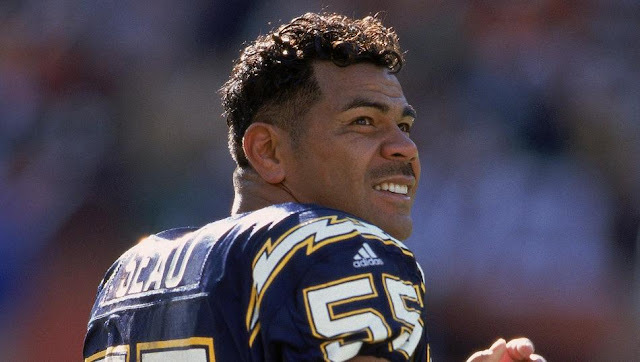 Tiaina Baul "Junior" Seau Jr.
Elected to the Pro Football Hall of Fame. In 2012 Seau died by suicide. He was diagnosed with CTE posthumously. Junior Seau was 43 years old when he died. The link between brain injuries and suicide is undeniable. 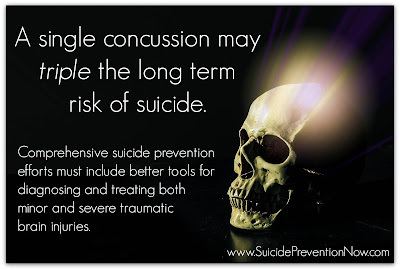 Studies have shown that both major and minor traumatic brain injuries (TBI) increase suicide risk. Chronic Traumatic Encephalopathy (CTE), a degenerative brain disease often associated with athletes, is the result of having suffered multiple head traumas. The list above is woefully incomplete. At present, CTE can only be diagnosed post mortem. Some families are not comfortable donating the brains of their loved ones for autopsies related to CTE research. Also, understanding how to identify CTE is relatively new. Recognizing and diagnosing the condition has only been possible since 2002. Prior to that, the degenerative brain disease was not yet understood. For those living with the disease, the symptoms are devastating. Given this, understanding and addressing the risk of dying by suicide when a person has suffered a head injury is critical to overall suicide prevention. We must do more research on how to identify brain injury, as often a person who has incurred an injury initially has no (or very minor) outward symptoms. It is absolutely imperative that people understand that the physiological response to (even minor) head injuries can have a profound impact on long term behavioral symptoms. The two are inextricably linked. Recent studies have shown that having suffered just one concussion leaves a person with a suicide risk that is three times that of those who have not had a head injury at any time during their life. The urgency of needing more research speaks for itself. Postmortem is not an acceptable time to diagnose a fatal disease. As a survivor of suicide loss, I also need to say this. 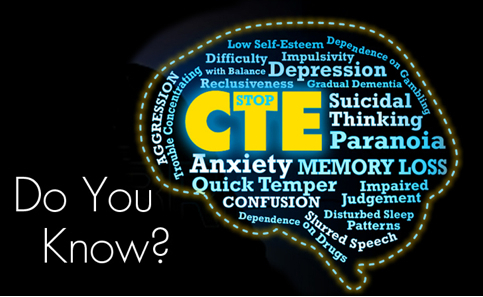 The discovery of CTE makes a very important statement about the impact of stigma on suicide. Consider that until CTE was diagnosable, the public perception of of those who suffered from the related symptoms of mental illness and/or died by suicide, was accusatory and ugly. Like all who have struggled with these issues or lost their life in this way - those with CTE were often considered weak of character. Many athletes who died by suicide were deemed selfish and unappreciative of their success. The pervasive belief that individuals suffering from symptoms of mental illness and who die by suicide are at 'fault' for their death is often wholly inaccurate. The vast majority of the public still believe that a person who dies by suicide was making a 'choice' that they had entire control over. This is a belief that leads to agonizing questions asked by those left behind. This stigma is believed by the majority of the public, including those who have lost someone to suicide and those who are directly suffering from mental illness. Considering the fact that even one concussion raises suicide risk, why aren't we making diagnosis, awareness, and treatment of CTE and related conditions more of a priority? Why aren't we comforting those who have lost someone to suicide by telling them that there are often definitive physiological reasons behind years of erratic behavior and suicidality? Survivors of suicide loss torment themselves with guilt and rage related to questions around why the person they lost did not love them enough to stay alive, or why their own love wasn't enough to keep someone alive. Again, it is critical that we do more research and that we develop better tools for diagnosis, treatment, and management of all factors that contribute to suicide risk, CTE and head injuries included.